Dragonball Z was one of my favorite animes growing up. It's completely ridiculous, but so much fun. 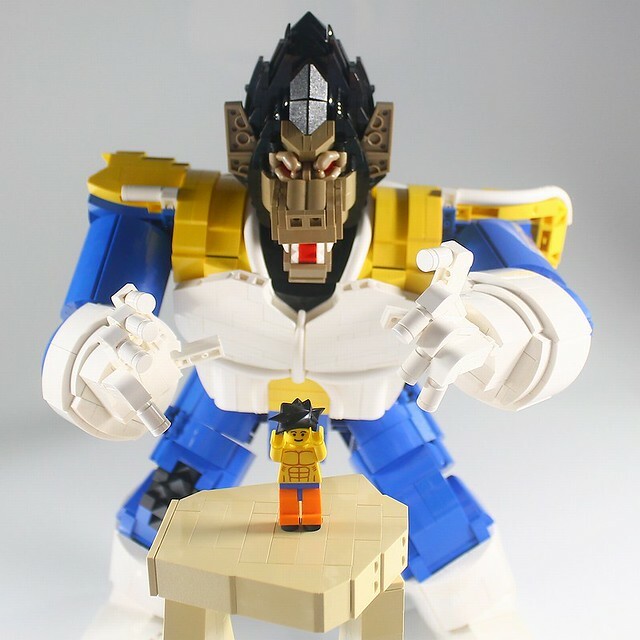 Legendary builder Moko has made a MOC of Super Saiyan Vegeta in his Great Ape form (long story...). He captured the look perfectly, and I love how pose-able he looks. How will Goku get out of this pickle? TUNE IN NEXT TIME ON DRAGONBALL Z!